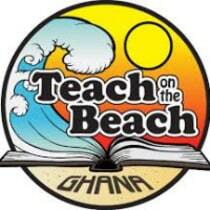 Teach On the Beach, een nieuwe frisse start - a fresh new start! TOB is a NGO that provides education and basic necessities of life such as food, water, shelter and love. The reality is in the eyes of a child in Ghana, a little goes a long way. Any donations would be greatly appreciated. “Teach on the Beach is a registered non-profit organization that provides education and basic necessities of life such as food, water, shelter and love. Unfortunately, the organization is at risk of closing its doors due to the lack of funding. We are struggling to find funds to provide scholarships for these young children and the building is in need of great repairs. The reality is in the eyes of a child in Ghana, a little goes a long way. Sinds afgelopen juli ‘18 ben ik betrokken bij de prachtige organisatie Teach on the Beach als contactpersoon vanuit Nederland. Teach on the Beach verzorgt onder andere in basisbehoeften zoals eten/drinken/onderdak/liefde & buitenschoolse activiteiten en studiebeurzen. Gedurende mijn tijd in Ghana afgelopen juli/augustus is er hard gewerkt aan een nieuwe frisse start. Maar we zijn er nog lang niet, elke bijdrage is meer dan welkom!! Vandaar een oproep aan al mijn vrienden/ kennissen/contacten, wie kan ons een stapje verder helpen? Ik zal op korte termijn terugkeren naar Busua, Ghana en er met het team op toezien dat het ingezamelde geld goed terecht komt. Mirjam te Boekhorst was invited at Christmas time 2017 to join ‘Newshour’ at Teach on the Beach. She was so impressed by the children’s analytical way of thinking, and the honest conversations. Six months later she came back and the she wanted to contribute to Teach on the Beach. She witnessed that even during holiday time the children kept coming back to this green building at the beach. TOB it is their home base and that plays such an important part in their lives. As a team leader she feels very much connected and just like the children, she keeps coming back! She also manages the instagram account @tipsghana, so to see and discover more about Ghana you should certainly have a look.